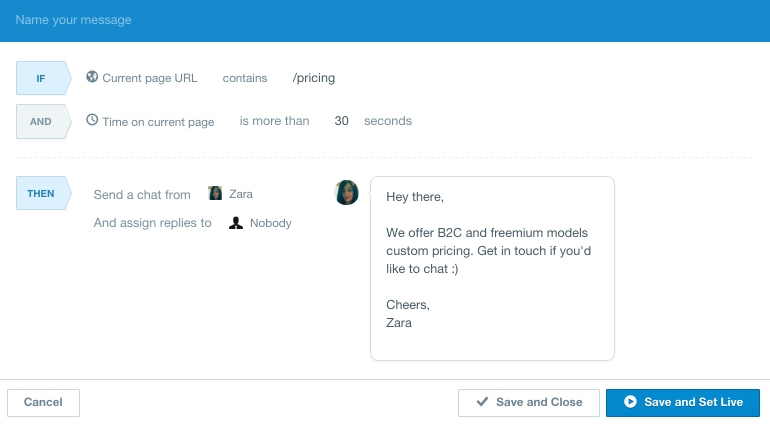 With Intercom Acquire, you can chat with visitors to your website in real-time, answer their questions, send targeted messages and convert visitors into registered users. Sometimes a friendly 'Hey, have you got any pricing questions?' sent at the right time, in the right place can be just the nudge your visitor needs to start chatting. To understand the context of your visitor’s message, you’ll need to ask the right questions straight away. We recommend asking a leading question early on, such as, ‘What brings you our way?’ or ‘What barriers do you have at the moment?’. This will help you to quickly identify pain points so you can understand and explain how they can use your product to alleviate them. You should also ask your visitor for a little bit of background about their business and what they’re hoping to achieve with your product. It’s equally important to understand the context of their visit. 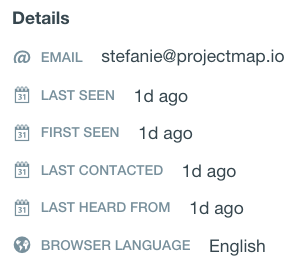 With Intercom, when a visitor sends you a message on your website they become a lead. And you can see what page they sent the message from, the browser they’re using, and when they sent it. You can then make this information a relevant point of the conversation. For example, if a visitor sends a message from your pricing page, you can ask them if there’s anything in particular they are unsure of in terms of pricing or plan choice. You’ll see the page your lead is currently on in the right-hand side of their profile panel in the Inbox. If the meaning of a particular message is unclear, you can also check what page it was sent from to get more context. 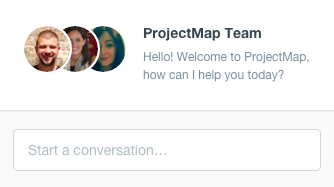 Your lead’s profile panel will give you a bunch of helpful information you can use to guide your conversation, like when they were ‘First Seen’, ‘Last Seen’ and where they’re from. It’s important to pay attention to their Location and Browser Language. If your lead is from a non-English speaking country, for example, it’s best to favor clarity over colloquialism, at least until you understand your lead’s language level. (You can find this information on the right-hand side of your lead’s panel in the Inbox). You should also quickly assess whether your lead favors speed or detail so you’ll know which conversations to prioritize and answer first. Someone who seems a bit more relaxed, yet inquisitive, for example, might warrant a more detailed answer that comes a little slower. On the other hand, if there’s a sense of urgency in your lead’s tone, make sure you provide a short response as quickly as you can, encouraging them to ask any additional questions if needed. Keep your replies short. Focus on the objective. You will get all sorts of messages: long ones with bullet points, short ones with one question, and simple 'hi there' messages from people who are just looking to chat. Regardless of the message type you receive, we recommend keeping your replies short. You should steer the conversation towards a more snappy back and forth exchange. Short sentences are clearer and easier to digest in a chat scenario. This saves everyone time and cognitive overhead. Lasly on this, its a good idea to continuously add a nugget of information and the next step to each message you send. Move closer to your goal with each short message. Be human. Build an emotional connection. When a visitor gets in touch, it’s important to show your human side and provide a personal, warm and positive exchange. This will help build trust with visitors and they’ll feel safe to ask you any question. Remember to upload a friendly photo of yourself. Speak like a human, not a robot. And always sign off with your name. You should customize the messenger to best suit your brand. And we strongly recommend using a color that contrasts with the colors and background used on your site, so that your visitors can clearly see how to get in touch with you. Remember that your visitors are human too. Be friendly and conversational, and don’t be afraid to joke. In fact, aim to delight. You should speak like a human and avoid all business-like robotic language. Use emojis, stickers and gifs often - people will appreciate your warm tone and will be more likely to continue the conversation. Enthusiasm is infectious. So it’s really important to get your leads excited about the possibilities of your product. Let them envision the success they can look forward to so they’re motivated to take action. You could tell them about a new feature you have that solves their problem, for example. Or you could let them visualize themselves in your successful customers’ shoes by sharing a link to a relevant success story. When a visitor sends you a message on your website they become a lead and Intercom prompts them to leave their email. But sometimes they might not do it themselves. In that case, it’s important to ask them for their details so you can follow up and continue the conversation. You could offer to send them a relevant blog post by email or a discount code, for example. The first step is to define the purpose of your Auto Message. Are you trying to help leads answer questions or are you trying to convert them into customers, for example? When you’re clear on the purpose of your message, the tone and content of your message will come easier. Keep your messages personal and relaxed to help people feel comfortable enough to reach out. Messages like: 'Hey. Happy to help :)’ add little value. Instead, ask a specific question like ‘Do you need help with our pricing plan?’ or ‘What’s your business hoping to achieve? I’m happy to offer advice :)’ Always prompt your leads to start a conversation with you. To ensure your message reaches your lead at the right time in the right place, you need to be as accurate as possible when setting the rules for that message. You can send messages to your leads based on what page they’re on, how long they spend on a particular page or how many times they view a page, for example. And you can combine as many rules as you like to target messages based on exact behaviour. Acquire Insights (available with Acquire Pro) will let you see how your team is doing, how many conversations you're having with your leads, and the open rate and reply rate of your Auto Messages. Well-targeted messages should see an open rate of above 30%. 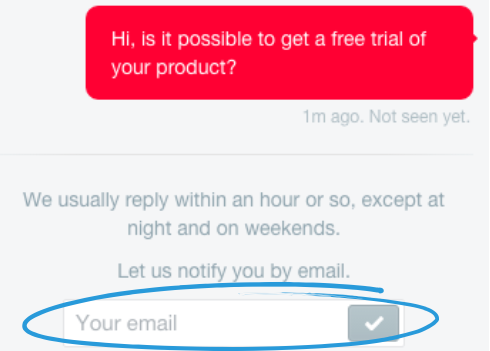 And if you’re asking a question you should aim for at least 5% of recipients to reply to your message. It’s also important to assess whether customers are happy with your conversations. To do so, you can tag individual leads you’re talking to as ‘Unhappy’, ‘Happy’, ‘Converted’ or whatever you want. Then you can view your tags once a quarter (or however often you like) to get an overview of your leads’ satisfaction level. If too many leads are marked as ‘Unhappy’ you can then investigate why by revisiting the conversations with that tag. As soon as a lead signs up to your product, they automatically become a User. The conversations you’ve had with them and the information you’ve gathered about them is carried over. 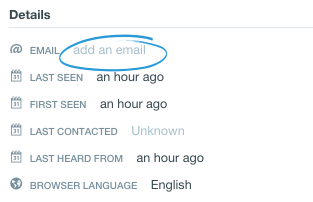 They will now appear in your User list and Intercom will track the activity they take inside your product.